New Jersey has taken non-disclosure agreements to task. If an employee sues your company for discrimination, sexual harassment, retaliation or other employment issues, Employment Practices Liability Insurance (EPLI) can protect your business. Such lawsuits can cost your company $100,000 – $500,000+ in defense costs and damages. 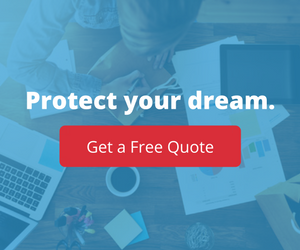 EPLI Insurance can absorb that burden so you can continue operations. 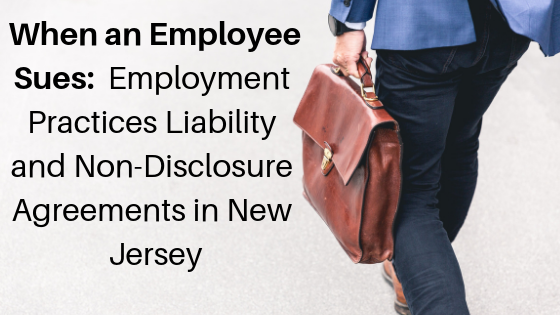 A recent change to New Jersey law means that employees may no longer be bound by non-disclosure agreements. Traditionally, when an employment practices case settles the employer and the employee enter into a settlement agreement. This is a contract spelling out how much the employer will pay and what the employee will do in return, such as dropping the lawsuit. Typically, settlement agreements contain confidentiality clauses that prevent the employee from sharing details about the lawsuit or the settlement. This is to protect the company’s reputation and allows the company to avoid admitting liability. On March 19, 2019, Gov. Murphy signed a bill that limits the employer’s ability to use non-disclosure agreements in certain cases. Going forward, non-disclosure agreements will not be allowed in cases of sexual harassment, discrimination, and retaliation. This means that employees will be free to discuss the circumstances surrounding their allegations and a resulting settlement. According to Senator Weinberg, a sponsor of the bill, when settlements are not made public, sexual predators are able to continue their behaviors, which can endanger other individuals. Senator Nia Gill explained that while NDAs can still be implemented, they may not be used to silence victims of sexual harassment, assault, or discrimination in the workplace. Though many see this as a triumph for employees, it may actually make claims harder to settle. Companies value their reputation and have been willing to pay a premium to dispose of claims quietly. With no guarantee of confidentiality, companies may be more reluctant to settle claims and may place a lower value on the settlement. Non-disclosure agreements are still enforceable for things like trade secrets and proprietary information. Regardless of the impact, Employment Practices Liability Insurance remains an important tool to protect your business.